A Pakistani hacker has been ranked the third most accomplished bug hunter in the world by Dark Reading, a cyber security news site. 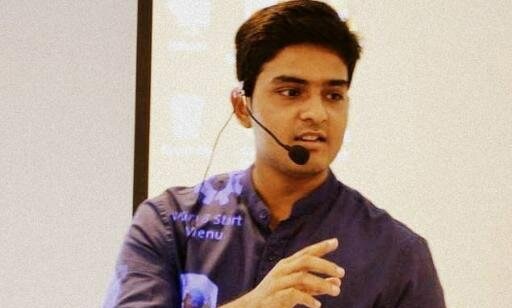 Shahmeer Amir, the 21-year-old Multan-born hacker has at this young age, already found and reported around 870 bugs, according to ProPakistani. Shahmeer comes under the category of ethical hacker, who is responsible for locating bugs or security lapses in websites and bringing them to light. In essence, ethical hackers help solidify websites security so that devious hackers do not exploit these weaknesses. Amir has raked in $150,000 by reporting bugs, or flaws in a computer program or system, to more than 300 organisations around the world including tech giants such as Facebook, Microsoft, Google, Yahoo, Twitter, LinkedIn and Dropbox, all in a span of two years. He is ranked the number one hacker in Pakistan, and 11th overall in the world by HackerOne. Owing to his significant achievements in reporting and fixing bugs, Shahmeer has been invited to DEFCON, one of the biggest global hacking events. Apart from that, Shahmeer is working on projects to better secure the Pakistani cyberspace from internal and external threats. Such astounding achievements at such a young age are unprecedented and it should be clear what Shahmeer has done for Pakistan on the international stage. Amir is currently based in Lahore, managing his own cyber security startup,Cyphlon, with his own team of six individuals, lead by Plan9 of the Punjab Information Technology Board. Welldone.You are a great asset of PAKISTAN.You make us proud.Keep it up.